I know it’s Wednesday, but I couldn’t miss this topic! 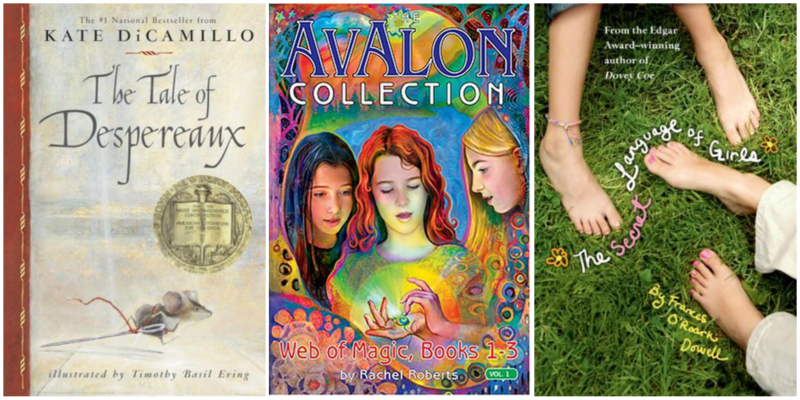 There are so many books from my elementary school years that I would love to reread. **note: I am deliberately leaving out Harry Potter, The Chronicles of Narnia, and A Series of Unfortunate Events because they are books I have already revisited, and will continue to revisit, so I feel like it is not necessary to mention them… the books on this list are books I have not read since elementary school, I just remember that I loved them and they had an impact on me. My teacher started reading this book to us in grade 4 on what I’m pretty sure was the Friday before March Break. I went home and immediately begged my dad to take me to the bookstore to buy it. I had it finished by the end of the weekend, and was completely okay with having to hear the story again when I went back to school after the break. Aside from Harry Potter this was the series that really sparked my interest in fantasy. If I didn’t give all the books to my younger cousin I would definitely pick them up to reread. They ended up releasing new covers and I think eventually I might pick them up just to have as part of my collection. I like giving away books, but then I also really want to keep every book just incase! One day my sisters will have children and so will I, so you never know! I honestly could not even tell you what this book is about. All I remember is as a young girl I thoroughly enjoyed it and even my elementary school best friend (who hated reading) loved it! When I thought of this topic it was one of the first book covers that popped into my head. This was the first real series of books I started collecting. 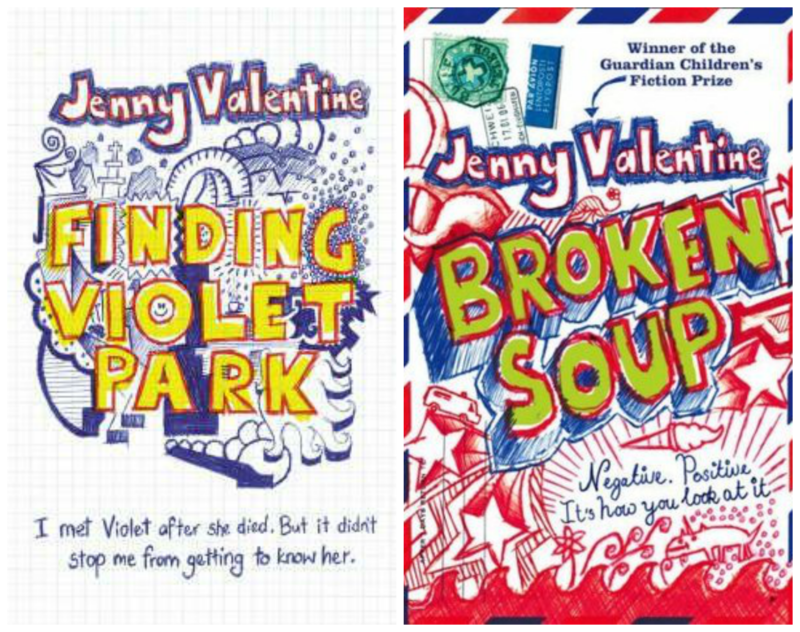 These books were fantastic, Junie is hilarious, and the covers and the art rock! “My name is Junie B. Jones. The ‘B’ stands for Beatrice. Except I don’t like Beatrice. I just like B and that’s all.” Such a sassy little child, I loved it. Honestly I think this is such an important book to read as a young girl. It just kind of helps you understand the things you are going through and what you can expect to go through. 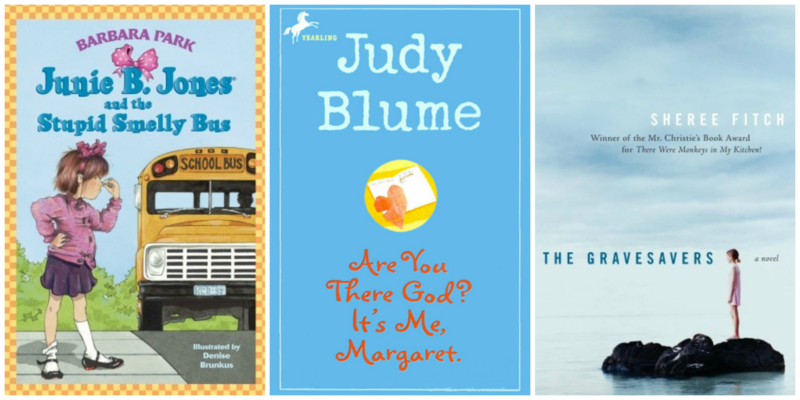 Judy Blume is a fantastic writer and I enjoyed all her other books as well, but this was by far my favourite. Again, couldn’t tell ya what it’s about. I think there was a ghost/some type of supernatural element. But you didn’t know the person was a ghost the whole time? Not sure. I’m fairly certain I cried, and I held onto this book for so long intending to reread it, but now I can’t seem to find it and I’m so hurt. Both of these books deal with really difficult topics. As a tween they were some of my first experiences reading about things like suicide and loss so I feel like they will always hold a special place in my heart. I would love to reread them to find out what I would think of them now. I feel like a lot of people complain about/have a hard time reading books for school, but I honestly never have. This was one of the first books I had to read for a book report in elementary school and I was obsessed with it. The mystery and the story was just so intriguing to me. They also made a terrible made-for-tv movie of it and I’m pretty sure I even enjoyed that. I actually tried to reread this recently but cast it aside because I had too many new books I wanted to get to. This is easily the longest book series I have ever collected. 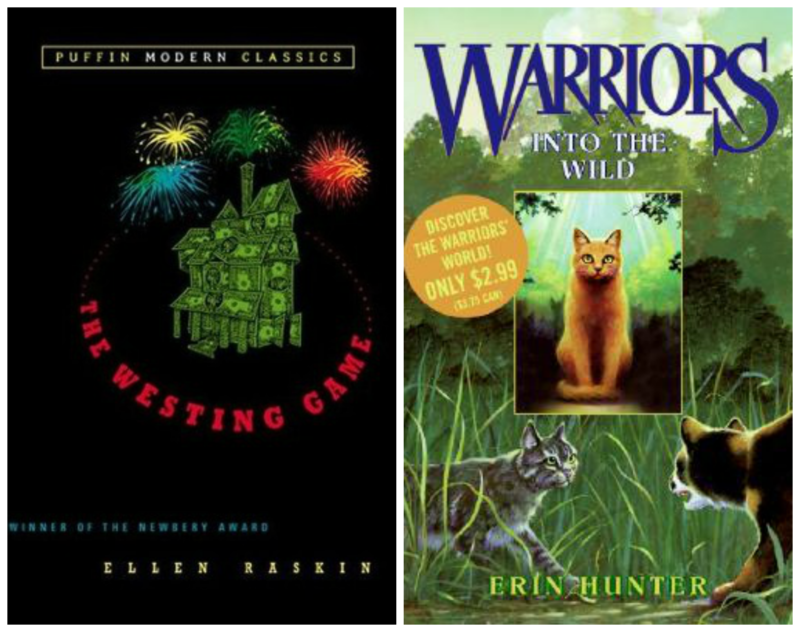 I started the first book Into the Wild in grade 5 and continued reading these books until I graduated grade 12…. and there are still more… Once I start reading a series I don’t like stopping until it’s over. But it just won’t end! Granted, it’s not like it’s one massive series… it’s sets of 6 series with new character POV’s in each so I could have stopped but I didn’t. There are still 3 more books I need to complete the last subseries I started, but at this point I feel like I would have to read them all over again to remember where I was at! Well that’s it for the childhood books I would like to reread! Has anyone else read any of these? Do you remember what you thought of them? Would you ever reread them? Let me know!